Victor Hugo's poetry is praised as highly as, if not higher than, his prose by the French; however, finding translations of his poetry in English is a challenge. All English translations used to be out of print. In April 2001, this changed with the publication of a new translation of selected poems ("Selected Poems of Victor Hugo: A Bilingual Edition" Translated by EH and AM Blackmore. University of Chicago Press. ) 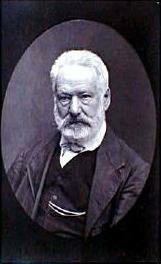 In March 2002, another bilingual collection was published ("Victor Hugo: Selected Poems" Translated by Brooks Haxton. Penguin Classics) These translations of course are under copyright, so none can be entered here. While organized by the volumes of poetry they were originally published in, these do not comprise Hugo's complete poetic works by any means. Only selected pieces.